The study of planets, stars, and space can be a childhood dream for many young students. Astronomers use math and science to understand our universe and study different aspects of space. Going into the field of astronomy often requires a PhD for research-based positions. The median salary for this profession is $110,000. A bachelor's degree in biology, chemistry, or physics can lead into a career as a Biochemist or Biophysicist. These professionals study biological processes and living things. Independent researchers in this field go on to get their PhD. This industry is predicted to grow more than average when compared to other professions with a median salary of $82,180. Individuals in this profession need a background in chemistry, or degree in chemical engineering, to develop processes for manufacturing chemical materials. These professionals look for ways to turn chemical materials into commercial products. From plastic materials to medications and food, chemical engineers work in a variety of industries to develop commercial products. Individuals who choose this profession can expect a median salary of $112,000. Conservationists work with the government and landowners to help protect natural resources. Individuals in this profession often have a bachelor's degree in biology, ecology, agriculture, or environmental resources. Job growth is steady as a conservationist with a median salary of $61,810. 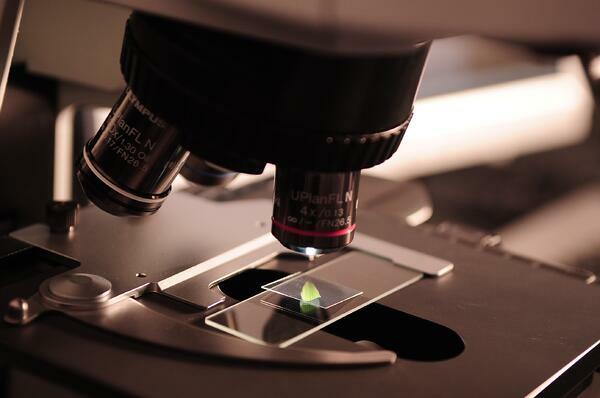 As a Forensic Scientist, professionals use their scientific knowledge to help criminal investigations. Physical evidence is collected at crime scenes and sent to a lab where it is analyzed by a forensic scientist. Research may include DNA testing, toxicology, and ballistics. A degree in forensic science is often required to enter this profession, and this field is expected to grow faster than the average of other occupations with a median annual salary of $56,750. This is consistently growing field as genetic testing expands to study genetic disorders and hereditary conditions. Geneticists spend much of their time in a lab researching how genes play a role in health. They also study environmental factors and how they can affect our genes. Geneticists earn $77,000 for a median annual salary. Hydrologists stud the Earth's surface, including the oceans and other bodies of water. They monitor the distribution and properties to better understand the environment. A master's degree in environmental science or engineering is needed to move into this profession, along with a focus on water sciences. Job growth is faster than average in this field with a median annual salary of $80,480. Weather conditions and climate predictions are just a large part of meteorologists job. As a high-paying position, meteorologists often need a bachelor's degree in physics or atmospheric science. They can work for utility companies, the agriculture industry, or news stations with a median salary of $94,000. Pharmacists work in a variety of environments, including hospitals, clinics, or local pharmacies. Individuals who pursue this path need a Doctor of Pharmacy degree. These professionals dispense medication and educate the public on potential side effects. As one of the highest paying science positions, people pursue this profession to help advise medical professionals and patients on proper dosage and interactions. Pharmacists earn a median annual salary at $97,000. Opportunities in this profession can be found in many industries, including education, technology, aerospace, health care, and energy industries. Physicists pursue an education to earn a bachelor's or master's degree in physics. Data scientists, meteorologists, optical engineers, nuclear physicists, and patent agents are just a few examples of career paths in this field. Physicists use theoretical knowledge to analyze data and study different properties such as matter, energy, and time. These professionals apply science methods to help further technology, understand our universe, or research alternate energy sources. Individuals in this profession earn a median annual salary of $123,000. Students who explore their interests in science at any early age will discover they have a variety of opportunities to choose a degree that will lead them towards a science-based career path.